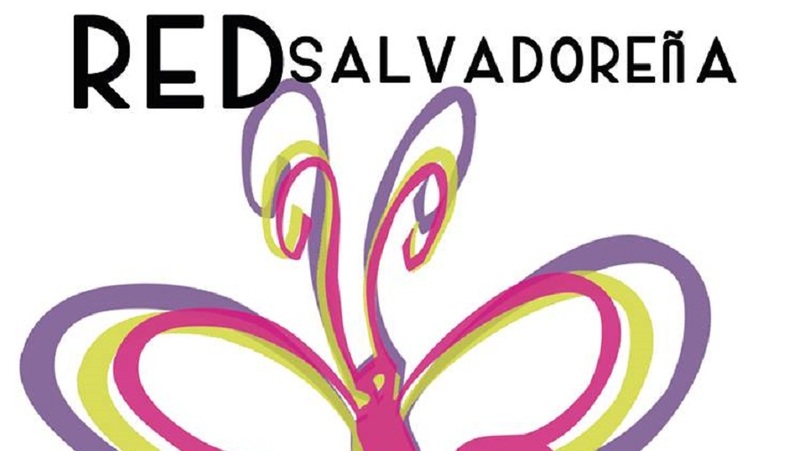 THE FACTS – On July 6, 2018, the former professor at the National University of El Salvador, José Boanerges Osorto Guevara was denounced by a student before the national Attorney General’s Office. The agressor gave anthropology classes at the university, and the victim was a teaching assistant who suffered repeated abuses of power by the former professor. He threatened to restrict her academic career and repeatedly attacked her physically and psychologically. On July 20, 2018 the UES definitively suspended Boanerges. During a Board Meeting, the decision was made to terminate his services and to ban his presence on university premises. On August 1, 2018, the Attorney General’s Office issued a warrant for the capture of José Boanerges Osorto due to these offenses: aggravated injuries, especially aggravated threats and expressions of violence towards women. Last March 1st, several different feminist organizations gathered on university grounds to denounce the actions of the Higher University Council which, irrespective of the Board decision, have favored the assailant and placed the student survivor of violence in a risk situation. 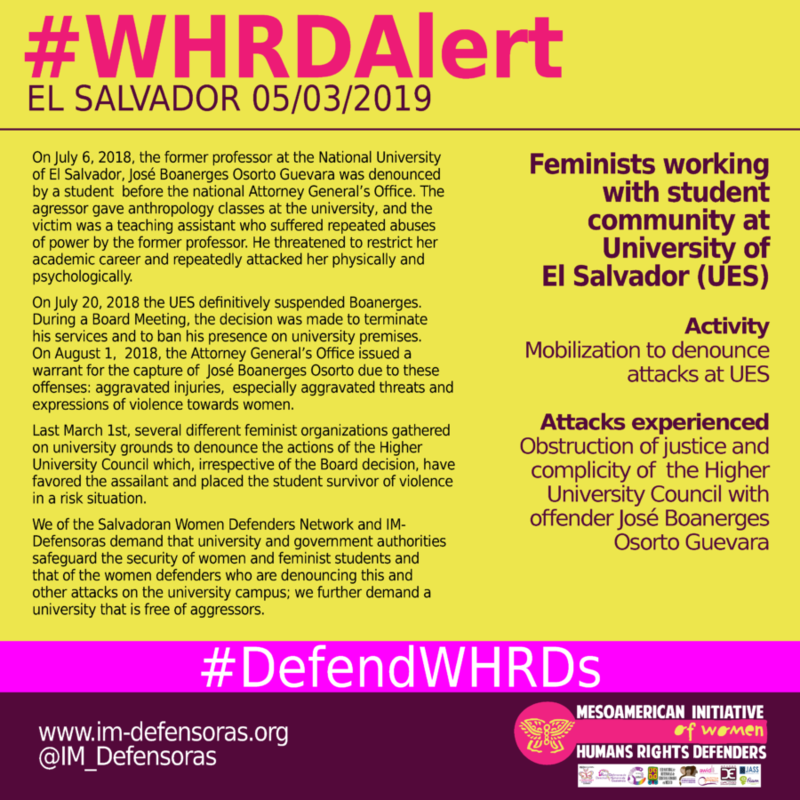 We of the Salvadoran Women Defenders Network and IM-Defensoras demand that university and government authorities safeguard the security of women and feminist students and that of the women defenders who are denouncing this and other attacks on the university campus; we further demand a university that is free of aggressors.